Bengali Hindu brides have a special kind of bangle made out of conch shells. They are called shakhas. They value them as much as a mangalsutra and sindoor. 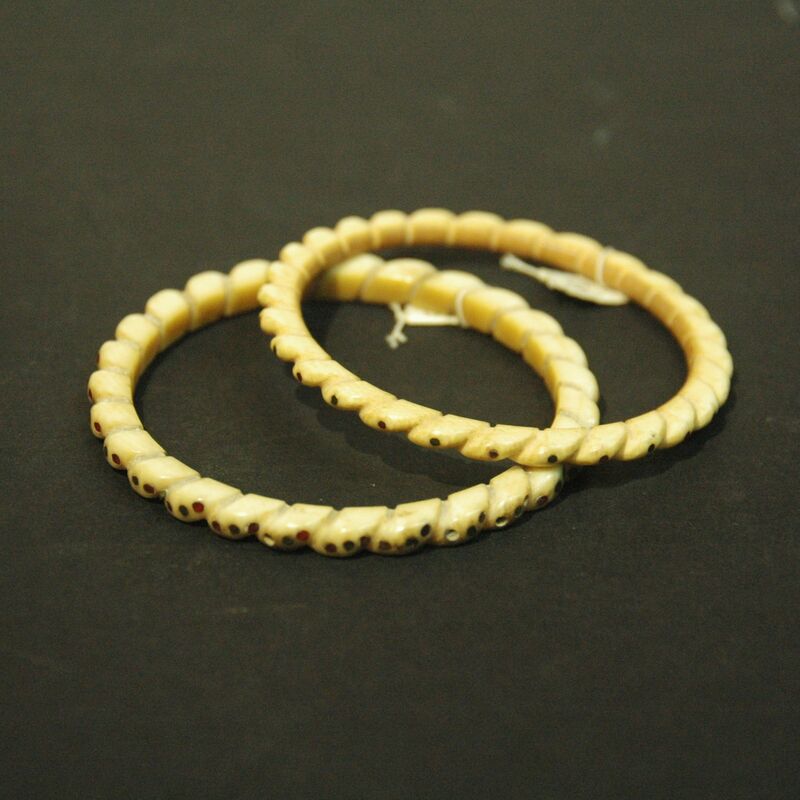 For us, only married women are allowed to wear these conch shell bangles. It signifies that she is married and belongs to her husband. They are never allowed to remove the shakha from their hands, unless they are removing it to wear a pair or unless they have become a widow. Shakhas are very sacred to Hindu Bengalis, however its not a custom practiced amoungst other Hindus. Thank you so much for your comment! Would these be in fact shakhas? They are made of ivory and very small in size (diameter 65mm, barely 2 inches). Is shakhas be a form of choodi or are they different? Great to hear from you! They do look very much like shakhas, however shakhas are made out of conch shells, and yes they are worn as a choodi on each wrist. Nice post by the way. And the song selection is great! I have updated the blog, thanks so much for your information. :) We have another bangle, ivory with a silver joint, which we will put on the blog soon. hopefully we can get your advise on the item later (please comment again). So nice to found someone who is interested in craft and culture! 1. Shankha and Pala are also sometimes worn by Assamese Hindus, Bodos and Santhals. I’m not sure whether it is customary. 2. Certain Bengali Hindu women of East Bengal descent wear two Shankhas (and one Pala of course). I’ve seen this is Andaman and Nicobar Islands, where Bengali Hindus were resettled after the Partition. Thank you! For you correction and information. It is great to have inputs from all around the world. Much appreciated!